Let the rumors begin for the New York Knicks. Over the past few days, reports have surfaced indicating that Kevin Durant and Kyrie Irving to the Mecca is “basically a done deal.” Such rumors have come from unnamed NBA executives. 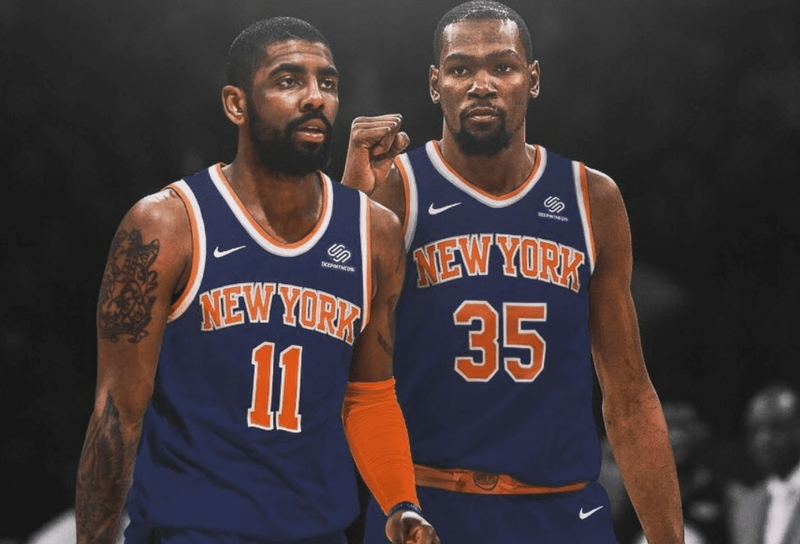 Yesterday, another report stated that Durant and Irving have been discussing who will sign with the Knicks first. Do not get me wrong, this is all exciting news. However, we need to seriously pump the breaks, yet again. Things have not gone in the Knicks favor in the past few off-seasons for the Knicks, in free agent terms. I am hear to say that we need to put the excitement on hold. Because until the ink is put to paper for both Durant and Irving, it is only a rumor. Nothing is set in stone and all these reports are rumors and speculation until it actually happens. One of the biggest determinations is going to be the Knicks draft pick. If the Knicks get the first pick, which will be Zion Williamson, then we can guarantee at least one big name free agent will bring their talents to New York. If the Knicks do not get the first pick, then it is all up to the basketball Gods. As for now, we need to take a pause. Again, all this draft and free agency stuff is unbelievably exciting. It is by far the biggest off-season the history of the New York Knicks. It will determine the direction of franchise for the next decade. So take a breathe Knicks fans and let the chips fall where they may, hopefully in our favor, for once.